There are various file sharing sites from which you can earn money by sharing your files with your friends. There are several such sites present today and increasing day by day. The problem may occur in front of you is which one to trust or which one is best. In this post I am going to mention all such sites along with their links so that you can directly go to the site and start earning. It is always good for you to concentrate on only one file sharing site and start making money instead of using all sites at a time. But I don't mean that you should not join other site. You join all site mention in this post but its better to concentrate on one site. In this post I am also giving the brief description of all file sharing sites and maximum earning that you can earn from that site. so carefully read the post and join the sharing sites by clicking the links and start earning today. Update : Sorry These Site's Doesn't provide any affiliate service. So you will not make any money from them. 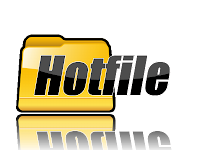 This site allow you to download file at unlimited speed access(means no restriction to bandwidth), But allow user to download only one file per day(for free users). This site also allow you to download file at unlimited speed access (means no restriction to bandwidth) along with multiple downloads for a particular IP. This site NOT COUNT DOWNLOAD FROM ALL COUNTRY This site count downloading only from 54 countries. This site is quit popular in USA and Europe. So if you are from these regions than probability of your earning is quit high. Earning amount depend upon the size of file as well your rank (rank decided according to your number and downloads and earning). If you have file size more than 100 MB than you can earn 4$ to 15$ according to your rank. Minimum size of file which will count for payout is 5 MB. Go to the site by clicking the link bellow and start making money today..
Another very good site for sharing files and earning money from it. Fileserve give you freedom to make money from the every corner of earth. Downloads are counted from all parts of country. This site give you opportunity to earn money according to your size of file and downloading region from where file is downloaded. A 1MB-50MB file can give you between 50$ to 3$ for 1000 downloads while a file greater than 450 MB can give you $5 to $25 for each 1000 downloads. You can register this site for free. Downloads from all countries are considered so its good thing of this site. A 5MB-75MB file can give you between 1$ to 7$ for 1000 downloads while a file greater than 300 MB can give you $4 to $25 for each 1000 downloads. Filesonic is used by many people who daily sharing their videos. File sharing pay upto 35 $ for evry 1000 download of a file. The pay per download program will pay you from $1 to $7 for a 1 MB to 50 MB file while you will get more money if your file is of more size. A file more than 1 GB will give you $8 to $ 35 for per 1000 downloads. Crocko is File sharing site which can pay you upto 40 $ for evry 1000 download of a file. A 1MB-50MB file can give you between .50$ to 5$ for 1000 downloads while a file greater than 450 MB can give you $6 to $40 for each 1000 downloads. Here is the another one which give you the lots of chance of earning money. Depositfiles give you instance payment of $5 after your registration only. So you can start earning just after registration without uploading or sharing a file. The paying rates are also high.there are so many Bonus programs which help you to boost up your earnings. These are some website which will offer you money for sharing your site. Hope you like my post. For more queries and suggestion please comment to this post. could you please tell me any Indian based websites .. Does all those sites really work? Because,I already have a account with FileFactory but didn't see any option like earning or something. If they work,then what are the payment methods? Thank you for this great post, i'm gonna try this.